Please consult this sizeguide to determine your size, on the left Rock Steady's sizing labels, then our sizing indication with corresponding body measurements. The fabric is very stretchy. 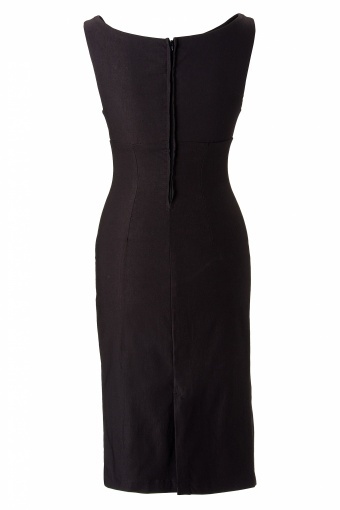 The Millie Wiggle Dress black from Steady Clothing. 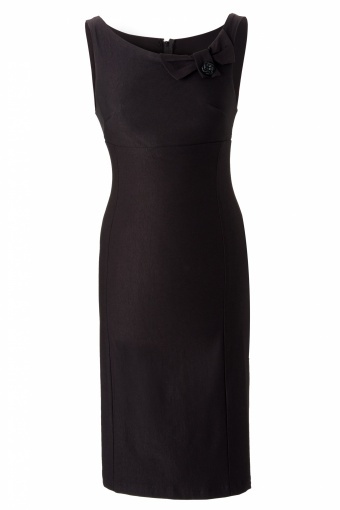 This is the perfect little black dress and so much more! 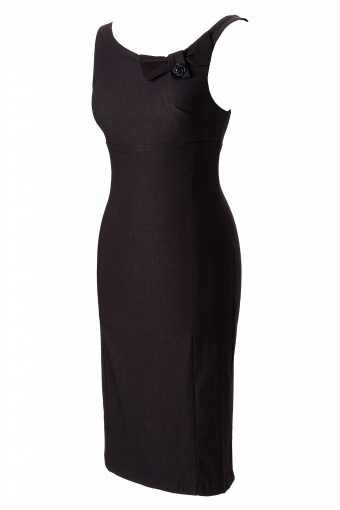 With little effort you’ll be ranking in the complements with this little black dress! 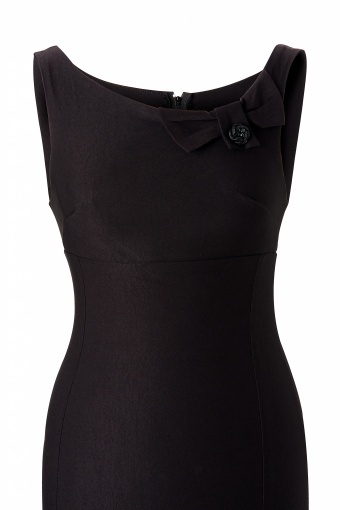 It is made out of black stretch bengaline and features a round sixties neckline with bow detail, fitted bodice and a pencil skirt. Dress zips up the back.